What type of fillings do you have in your mouth? Over the past couple of weeks a surprising number of patients have come up to me asking what materials we use in dentistry today, and how they work. Over the next few weeks I will try my best to give everyone a brief description of the various materials we have access to today in modern minimally invasive dentistry! 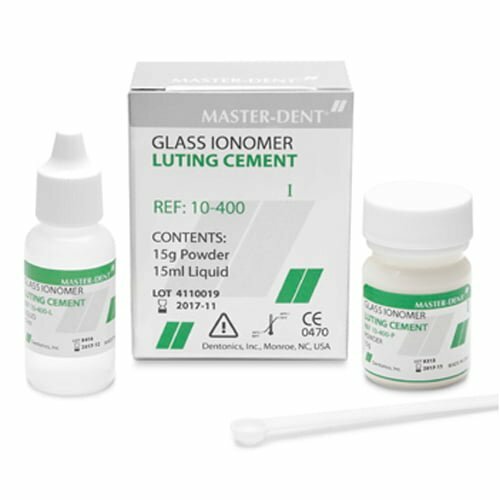 Our first material is a personal favourite of mine: the glass-ionomer cement (GIC). I used plenty of this during my training in Adelaide Dental Hospital and during my employment at the Sydney Dental Hospital. It is an invaluable tool to have where poor oral hygiene and gingival bleeding contraindicate use of moisture-sensitive materials. Generally monotone white opaque appearance. However they come in multiple shades. GICs are often heralded as a “short-term permanent” or a “long-term temporary” filling material. These days with careful case selection and good technology, GICs have become a mainstream filling material, especially in paediatric (kids) and geriatric (old) patients, where treatment tolerability is poor. GICs become hard in the mouth via an “acid-base reaction”, where a polyalkenoic acid reacts with glass-silicate molecules. In conventional GICs the setting times can vary from 3.5-5 minutes. Modified GICs, such as resin-modified GICs (RMGICs) contain photosensitive chemicals that allow them to be zapped with our blue lights, causing almost instant set. GICs release fluoride which makes them very useful in sealing those bacteria-retentive pits and fissures in kids’ teeth. They strengthen the surrounding tooth structure! As a result GICs are used widely in patients who have high decay risk. Because they are not as hard as other materials such as amalgam or composite resin, GIC fillings are generally replaced once hygiene is stable and gingival bleeding can be controlled. Because of their ease of use, GICs are also very useful in emergency dental treatment, where often time is of the essence! While there is no ideal material out on the market today, GICs continue to prove themselves valuable because of their fluoride release, ease of use and strong chemical bond to tooth structure!